This story is about another monk – not a Catholic monk, but a Buddhist monk, born in Vietnam. 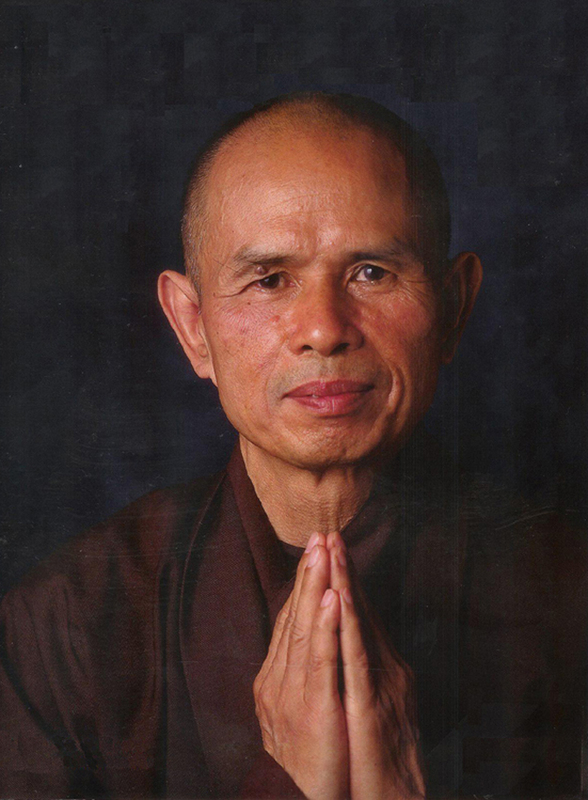 His name is Thich Nhat Hanh – he’s also called Thay. He’s 85-years-old now and lives in France. 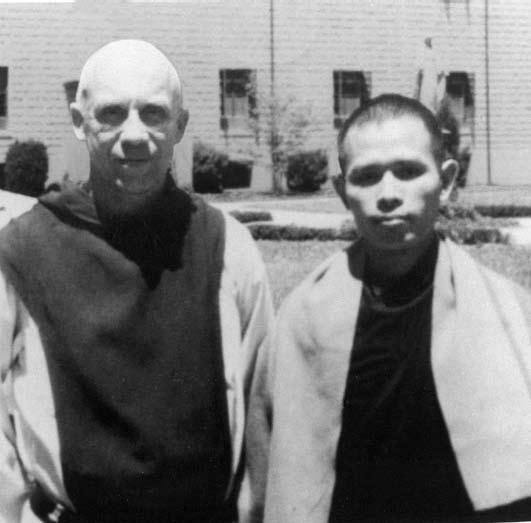 Thay and Thomas Merton met each other once – 45 years ago when Thay was visiting in Kentucky. They discovered kindred spirits in each other. It helps to have a tradition of practices and writing to help the heart open up to the true self. It can be a Buddhist tradition, or a Catholic tradition, or some other one. Thay became a Zen Buddhist monk when he was only 16. When there was a war in his country, Thay tried bravely to stop the fighting. Instead the government made him leave the country, the homeland he loved. He and his friends bought an old farm in France, which they named Plum Village. They fixed up the buildings and planted gardens and plum trees. Many people – from Vietnam and elsewhere came to Plum Village to live and work – or to visit for awhile -- and practice and learn to be mindful – to love each other and not be violent. At Plum Village, they spend a lot of time praying, meditating, and practicing mindfulness -- which means being aware of what we are doing and concentrate on enjoying it before we do something else. Pay attention to what is around you without worrying about the past or the future. When you take a little time to sit quietly – maybe sit outside and just watch the grass and the clouds and the birds – it can make you feel calmer and nicer. And we can use that feeling to make the world a better place to live. When we are mindful, we are peaceful, and when we are peaceful, it helps other people be peaceful, too. Breathing in, you feel calm. You are fresh as a flower. Breathing out, you are not going to get angry. You are solid as a mountain. Thay was just a boy when he first began his training to understand how what we might think we want isn’t always what our heart really wants. When we don’t get what we think we want, we might fight or act mean. For Thay, though, you don’t have to have one big heart-opening experience like Thomas Merton had at Fourth and Walnut. You just have to water the seeds of joy and wanting to help others – and not water the seeds of anger and selfishness. The Earth will be safe when we feel safe ourselves. Previous: Part 4: "Thomas Merton"